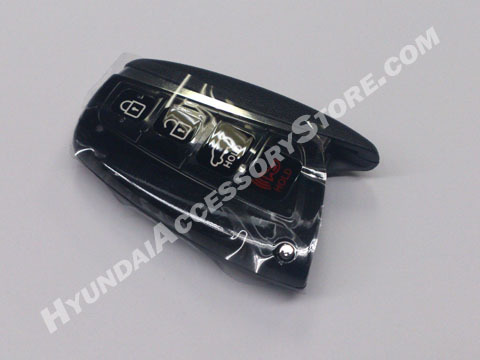 OEM replacement Smart Key Fob. Requires programming to work with vehicle. Must be preformed by a Hyundai dealer. Key does not come cut to your vehicle, must be duplicated by a locksmith or dealer with a high security key machine. Will not work on Canadian vehicles due to different security systems. I ordered 2 of these on Thursday and they arrived for pick up at my local post office on the following Monday. Considering they came from Massachusetts and I live on Vancouver Island BC I think that is awesome. Still have to get them programmed for my Santa Fe but ordering from the accessory store saved me a huge amount. My local dealer wanted 3 times as much for one key fob plus a reprogramming fee. Even with shipping and taxes/duties etc I still paid less for 2 of them than I could have purchased one for here. So Thank you!